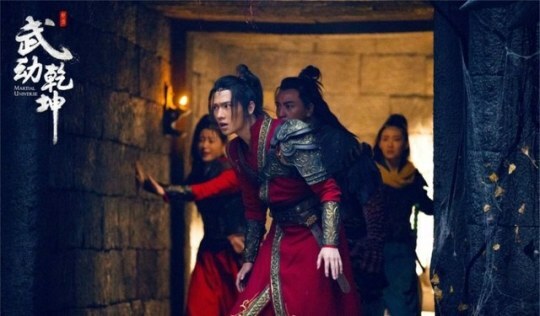 Martial Universe has released more images. Starring Yang Yang, Zhang Tianai, Wu Chun, Wang Likun, Shi Xiaolong, Liu Yan, Suo Xiaokun, Dong Qing, and Yang Haoyu, I’m not impressed with the costumes but I think they are passable. Seems like lots of action dramas are going into production lately. 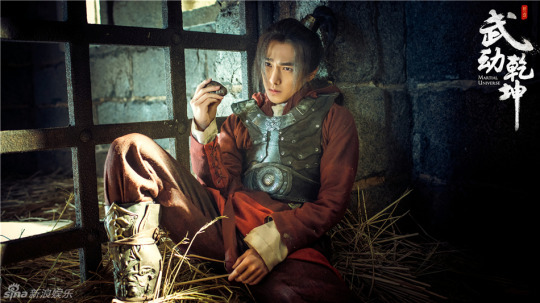 Martial Universe has released stills and a production video. Starring Yang Yang, Zhang Tianai, Wu Chun, Wang Likun, Shi Xiaolong, Liu Yan, Suo Xiaokun, Dong Qing, and Yang Haoyu, people looking forward to this series can get a better look at what they are doing to bring the world to life. Martial Universe has released wishes for the New Year. Starring Yang Yang, Zhang Tianai, Wu Chun, Wang Likun, Shi Xiaolong, Liu Yan, Suo Xiaokun, Dong Qing, and Yang Haoyu, a good look at the costumes for those interested. These are a couple Royal Highness 回到明朝当王爷之杨凌传 images I have had sitting around since who knows when. Starring Jiang Jinfu, Yuan Bingyan, Liu Ruiling, Liu Yan, Zhang Sifan, Wang Zixuan, Wang Lidan, and Chen Haoyu, it’s been a while since I have seen anything on this production. Martial Universe has released more posters and a production video. Starring Yang Yang, Zhang Tianai, Wu Chun, Wang Likun, Shi Xiaolong, Liu Yan, Suo Xiaokun, Dong Qing, and Yang Haoyu, more for fans of these actors. 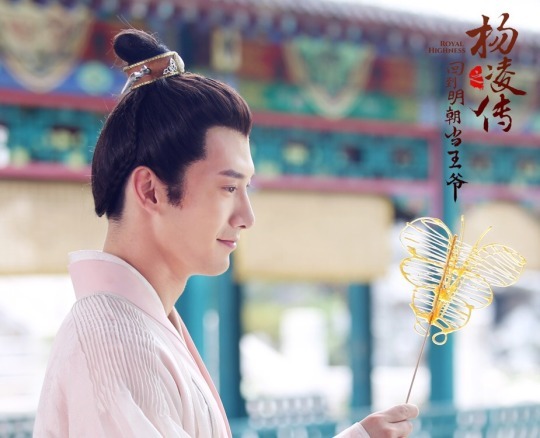 Royal Highness 回到明朝当王爷之杨凌传 stills again today. 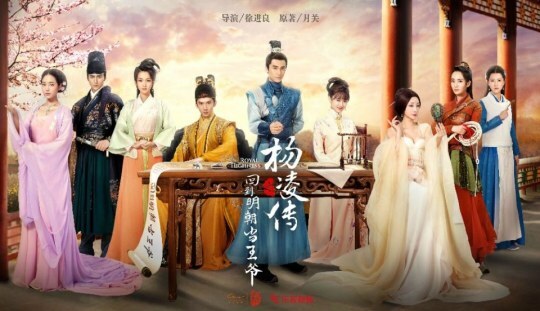 Starring Jiang Jinfu, Yuan Bingyan, Liu Ruiling, Liu Yan, Zhang Sifan, Wang Zixuan, Wang Lidan, and Chen Haoyu, it’s nice to see more light-hearted dramas getting a boost in terms of budget. 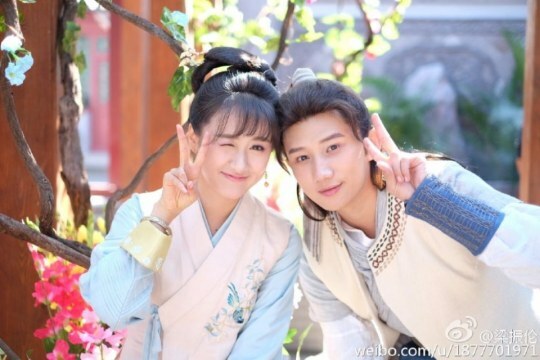 Royal Highness 回到明朝当王爷之杨凌传 stills run continued today. Starring Jiang Jinfu, Yuan Bingyan, Liu Ruiling, Liu Yan, Zhang Sifan, Wang Zixuan, Wang Lidan, and Chen Haoyu, it’s nice to see some of the sets that this drama is filming at. Monster Hunt was a commercial success when it premiered last year, and now a sequel starring original trio Bai Baihe (I Belonged To You), Jing Boran (Love O2O) and cute white radish Hu Ba has started filming. This will be Tony Leung’s (The Grandmaster) first comedy in 14 years, and it’s likely he will be playing the main antagonist. More stills from what looks like the actual production this week. Royal Highness 回到明朝当王爷之杨凌传 has continued releasing stills. Starring Jiang Jinfu, Yuan Bingyan, Liu Ruiling, Liu Yan, Zhang Sifan, Wang Zixuan, Wang Lidan, and Chen Haoyu, I guess this is good for those looking forward to this production.